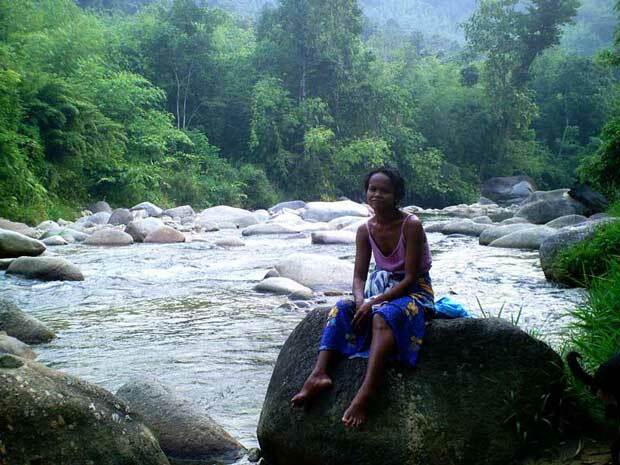 MAGICK RIVER: Orang Asli turned into temporary leaseholders on their own ancestral lands! Orang Asli turned into temporary leaseholders on their own ancestral lands! As some of you may know I married Anoora Chapek, a Temuan lady, almost 18 years ago. Her tribe, second largest in the Malayan peninsula, once roamed the whole of Selangor, Negri Sembilan and parts of Pahang. In 1999 the Temuan population was estimated at 18,560. I'm not aware if there is a current census, but I know there are fewer than 170 of them in Kampong Pertak, where I have resided since 2002 when a new settlement was constructed by Gamuda to relocate the villagers for the Selangor Dam project. identity through the insertion of "binti" instead of "anak" before her father's name. In 2004 each household received a grant from the Land Office entitling the house owner to a 99-year lease on the 1,101 square meters where their homes stood - plus an additional 0.3 hectare for general use, also on a 99-year temporary lease. In total each householder was required to pay RM70 per year towards the lease. During the negotiations for the resettlement of the Temuan in connection with the Selangor Dam project, the Orang Asli of Pertak were promised freehold titles to their land. Nothing was said about the 282 hectares of ancestral lands "approved for gazetting" in February 1965. They had waited nearly 40 years for their tanah pusaka to be formally gazetted as an Orang Asli permanent reserve. This did not happen. Instead, the Jabatan Hal Ehwal Orang Asli (now renamed Jabatan Kemajuan Orang Asli) conspired with the Land Office to turn the Orang Asli into 99-year leaseholders on their own ancestral lands. whose exact location has never been made known to anyone in the village. 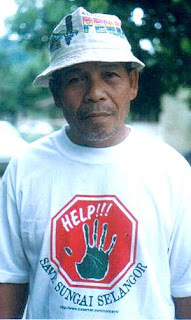 When I read the grant and realized what was happening, I had a long chat with the Tok Batin of Pertak, Bida Chik, who expressed profound anger and distress at being compelled to pay rent to occupy their own ancestral lands. He felt it was a barefaced insult for Orang Asli to be labeled "leaseholders" on lands their ancestors had inhabited for countless generations. Nobody knows exactly how long the Temuan tribe has been around - but many Orang Asli tribes can lay claim to having lived in the Malayan Peninsula for up to 40,000 years - possibly much more. I asked Bida Chik if he was prepared to file a class action against the state government for trampling on their inherent right to continue inhabiting their ancestral lands ad infinitum. He balked at the idea at having to take legal action on his own. 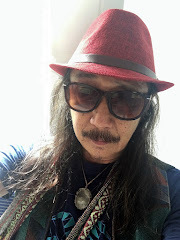 At the time he was confronted with a renegade faction of pro-BN villagers who were directly under the influence of the Jabatan Orang Asli and who made a point of ignoring or deriding Bida Chik's authority as Batin (headman). 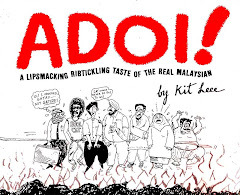 "So far we have not been asked to pay a single cent," Bida noted. "The day they start demanding money, we will consider our legal options." That was more than 8 years ago. 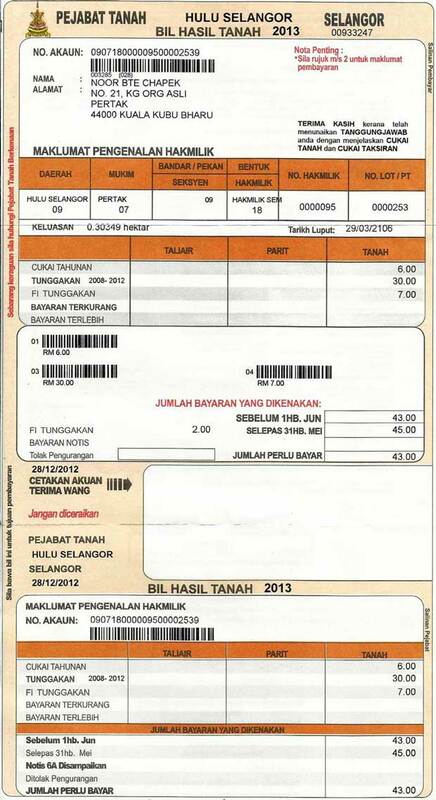 Householders in Kampong Pertak received bills from the Land Office about a week ago. The bills are for five years of assessment, 2008-2012. As far as I know, nobody was billed for the preceding years. Perhaps, as a small concession, the Orang asli were given a brief respite of four years. One bill for the lease of 1,101 square meters of residential land amounts to RM462.90. 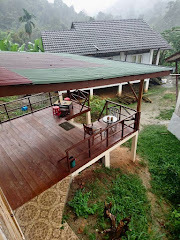 The other is for RM45 towards the lease of 0.3 hectare of agricultural land - the exact location of which has never been made clear to anyone in the village. Not even the headman knows where his 0.3 hectare is supposed to be. The Orang Asli - or at least the Temuan of Pertak - have never been keen on farming and their present crop of rubber trees was planted for them in the mid-1960s by RISDA (Rubber Industry Smallholders Development Authority). Together the bills total RM507.90 (with a RM32.30 rebate offered for early payment). Some Temuan households are relatively well-off - especially immediately after a bumper harvest of durians. Many can afford a monthly subscription to Astro. A small handful even own cars and vans and almost every household has a motorcycle plus a couple of handphones. However, income levels are extremely uneven and we also have widows and elderly folk who depend on financial help from relatives - and a meager RM300 monthly welfare cheque from the Welfare Department. My nextdoor neighbor Nuak @ Shima, for instance, is a mother of three tiny tots whose ages range from 2 to 5 years. Her Indonesian-born husband, Azman Izhak, was diagnosed with colon cancer last year and now has to commute between home and the Sungai Buloh hospital two hours away. He has been unable to work for more than a full year. He applied for welfare assistance many months ago - but the last time I asked, not a cent had been forthcoming. In effect, some Orang Asli households will have little trouble forking out RM507.90 for five years' lease - while others will find the amount a staggering, if not impossible, burden. As a former urbanite accustomed to paying rent, being asked to pay RM70 a year for the privilege of living in Kampong Pertak is hardly worth complaining about, as far as I'm concerned. That's the same amount I fork out for my annual road tax. However, it's against all principles of fair play and justice for an already marginalized community to be turned by legislative sleight-of-hand into temporary leaseholders on lands they can lay claim to for literally hundreds, if not thousands of generations. Last week I had another discussion with Batin Bida Chik about this issue. He was of the opinion that none of the villagers would wish to pay lease for what they perceive to be their own ancestral lands - even if they could afford it. They regard it as humiliating, insulting and a clear attempt to deprive them of their ancestral lands. He asked if I could bring the matter to public attention - and hopefully solicit the assistance of the Bar Council or any human rights lawyers to take the matter to court. And this is precisely what I am doing. If anybody reading this can help, kindly get in touch via email. Thank you. ambit of the PR gomen. have a heart for the natives. "Tragic" doesn't even begin to describe it. Very upsetting, but perhaps not entirely unexpected. Just one more batch of cruelties inflicted upon the (relatively) innocent. Is there a way to ensure this kind of stuff never happens? Land grabs are very much part of the sordid story of Homo sapiens sapiens (talk about serious misnomers!) - indeed one might venture that land grabs is the ONLY story humans have to tell. Why do we enjoy grabbing land so much - simply because we realize that land is the basis of our own sustenance, and also the means by which we may subjugate others into serfdom and dominate them generation after generation. If you own 100 acres or even 10, you are literally sovereign in your own domain. Historically, the indigenous folks were easy meat for predator egos because they are generally less inclined towards overt aggression, possess only primitive weapons, and do not understand the meaning of ownership or possession. 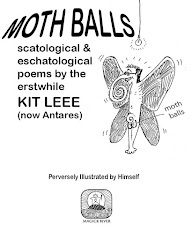 Christian predators labeled them as heathen - soulless ones, no better than talking animals; and Muslim predators also conveniently adopted the view that these savages were better off colonized and converted, as they appeared like a retarded child incapable of fending for itself. When will the Queen of England surrender the 600 million acres of land all over the planet she has acquired for the Crown? When enough of us give her the finger and say very loudly, "Bugger off now, you old reptile!" When enough of us decide that mountains must always be mountains and not denuded, carved up into lots and converted into hill-slope housing; that forests must remain forests and not be transformed into toothpicks and beachfront boardwalks; and that Mother Nature carries more significance for the entire spectrum of life than all the violent, vengeful, patriarchal, warlike gods in the universe. Anyway, don't pay the thieving cukai tanah. Wait till elections are over! Some of the villagers recently received RM500 as part of Najib's "I help you, you help me" campaign to buy votes. 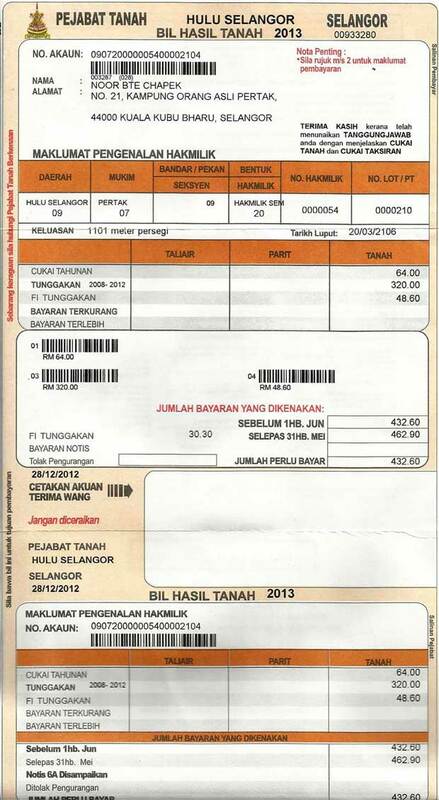 The irony of it all: to receive RM500 this week and be asked to pay RM507.90 "land assessment" next month!